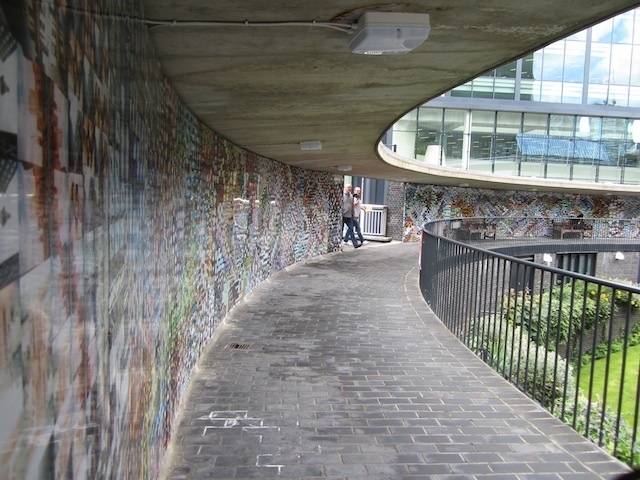 A significant splash of colour decorates the well space outside the Museum of London, as well as the main foyer wall. 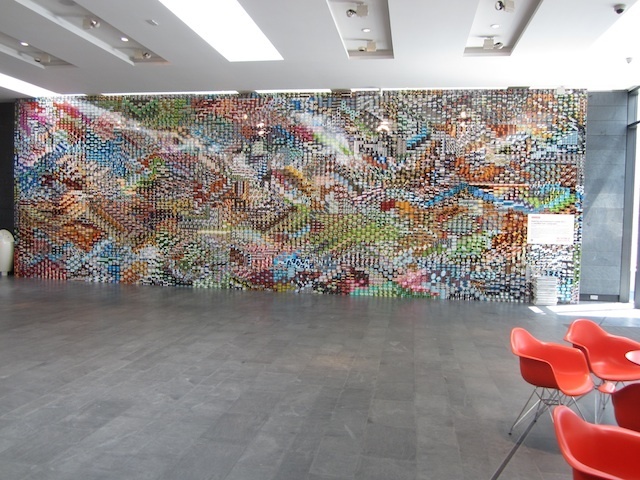 Get up close, and you find the stripy mural is composed of thousands of small photos. 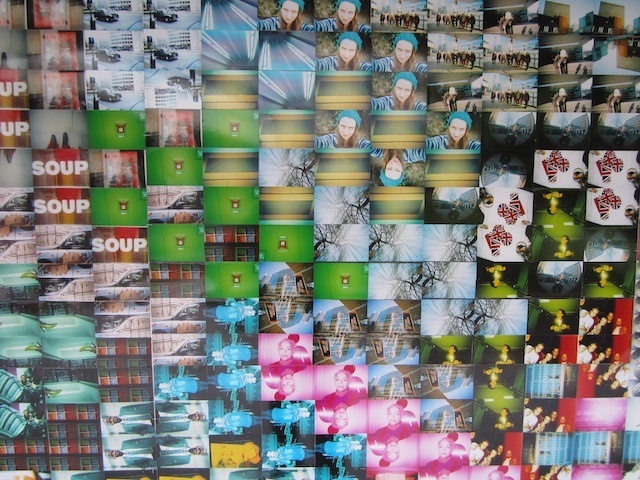 Each one was captured on something called an 'analogue camera'. Apparently, cameras used to use something known as 'film', and you couldn't see your photo until you'd had it 'developed'. Imagine! Actually, old-style photography is riding the vintage wave and making something of a comeback, partly thanks to the Lomography community. 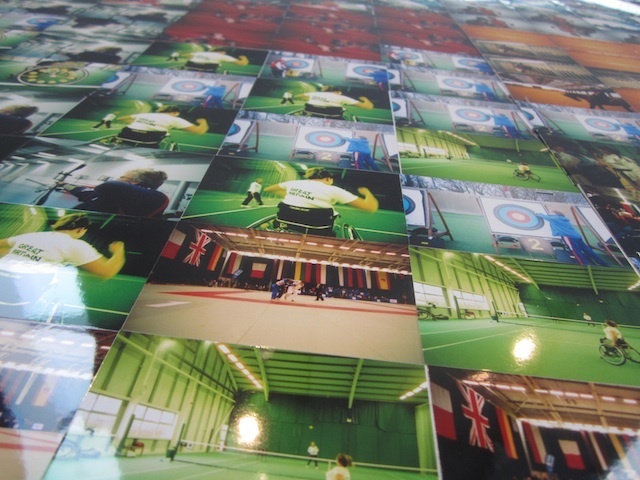 They teamed up with the Museum to run a series of photographic workshops. 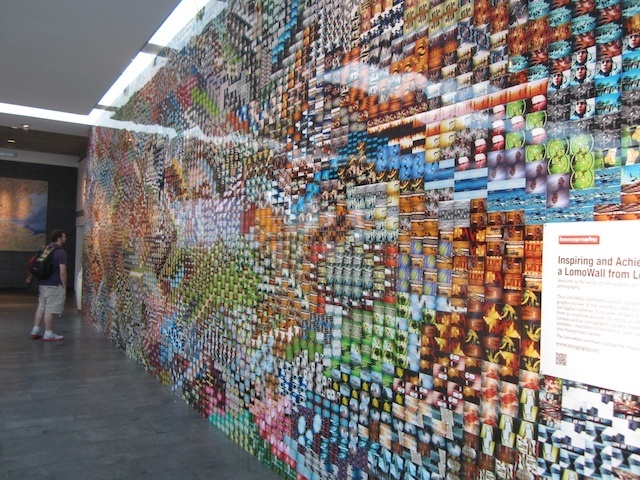 The fruits of these events are now displayed on the LomoWall, which opened at the Museum today. 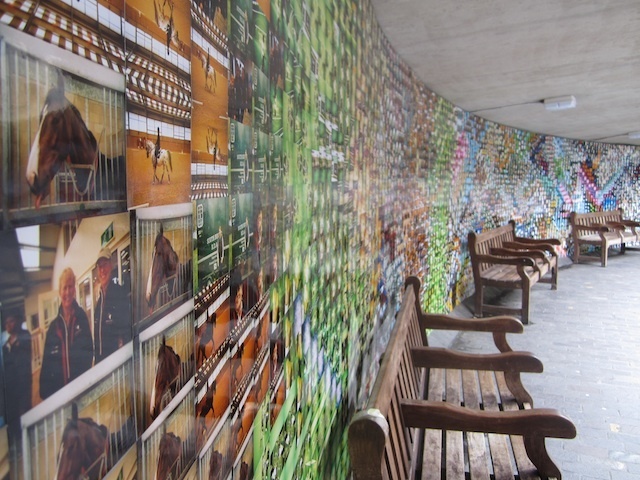 All the shots show subjects related to the Olympics, or London in general. Pop along any time between now and January 2013 to see this free exhibition.